As I discussed in my newest book, The Optimism Advantage, changing jobs or careers in difficult economic times may seem easier said than done, but, in the long run, life is too short to stay in a job that you don’t like. So don’t settle! You deserve more. Risk becoming the architect of your own future. Even as you continue toiling in your current position, begin seeking ways to find a more meaningful job – one that you can actually enjoy. You may not be able to find your dream occupation right away, but you can find significance and satisfaction by opening new chapters to your life that will get you a lot closer to it. Expand your internal network and share your career goals. You just may find a “pickup game” in your current organization that is much more fulfilling. When writing on intrinsic motivation, author Ken Thomas observes: “Self-management is simply the set of steps you go through to apply your intelligence to accomplishing a purpose,…but those steps can only be driven by a purpose that is meaningful to you.” So if someone asked you what gives your life meaning, how would you respond? Pretend that you’re on an elevator, and you have just one minute to tell another person the truth about your purpose and mission. Can you articulate it? Or are you – like so many others — struggling with the implications of not having an answer? 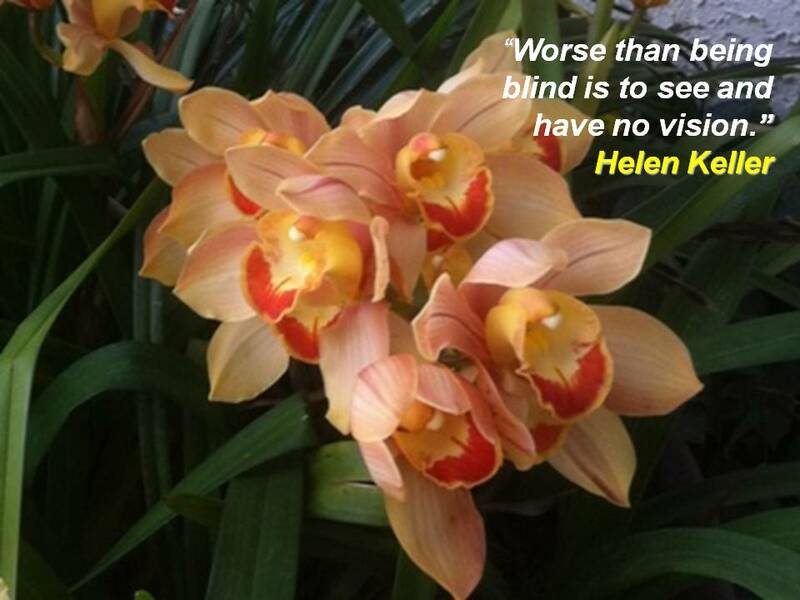 Helen Keller said it well, “Worse than being blind is to see and have no vision.” OK, you may be saying, “I’m no Martin Luther King Jr. — no Gandhi or Mother Teresa!” But think about it; these individuals didn’t immediately begin their lives as the giants they eventually became. Mother Teresa didn’t come onto the world stage as a saint. She started humbly by finding one small corner of a broken world and holding the hand of a person in need. They simply did what they felt they were meant to do where they were. Their missions found them as they lived out their life one choice at a time. After all, the very idea of finding one underlying motive upon which your entire life value will be based can be very intimidating! Take the pressure off by not expecting your stated purpose to be profound or fully developed. Take your life story one chapter at a time. Maybe you could start with a general commitment to “live life in a meaningful way” and to trust that meaning and purpose will most likely shift through the different stages of your life. You won’t find your purpose sitting still; it’s in living your life with gusto that your purpose finds you. I respected my father so much that I assumed that if accounting was good enough for him, it was good enough for me. Unfortunately, I soon found that even though the work came easily in my college classes, I didn’t enjoy it. Soon it was psychology that captured my attention and stirred my interest. Through years of graduate school, research and internships, I looked to a time I could start my own practice. I partnered with another psychologist right out of school. It was the right time; I was already used to poverty and had nothing to lose. Although satisfying, I did not find my current calling until I started speaking to community groups to attract clients. My practice was growing as was my appreciation of the joy of touching audiences with inspiring content they could use on and off the job. After speaking on assertion training to a chamber of commerce group, a business man asked me to speak to his leadership team. I replied, half joking, “I don’t do that. I’m a psychologist. People come to me.” He laughed and said the magic words, “We pay speakers.” Money has a way of grabbing your attention when you’re poor. I jumped at the opportunity only to find that I had found my calling. Soon I was speaking more and enjoying doing therapy less. I found a meaningful career that continues to drive my mission and sustains my motivation to this day. My purpose batteries get recharged every time I have the opportunity to speak. Tell me about what recharges your purpose batteries? May this inspire you to not settle, but do a little soaring!